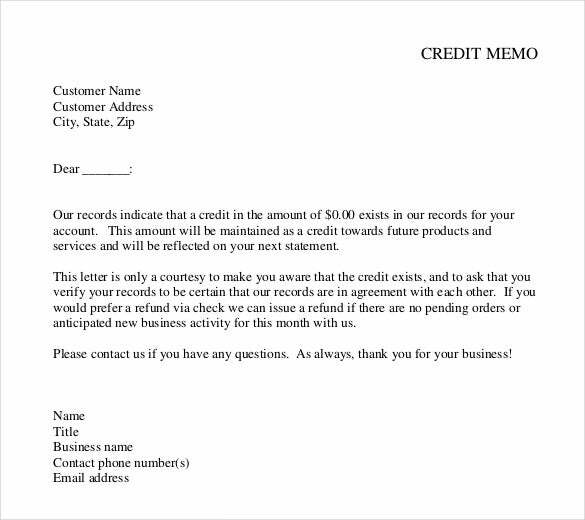 For any requested items of a customer’s where they receive any defective goods or if the product didn’t delivered in time, a credit sample memo template will serve as a reimbursement to the buyer by the seller. 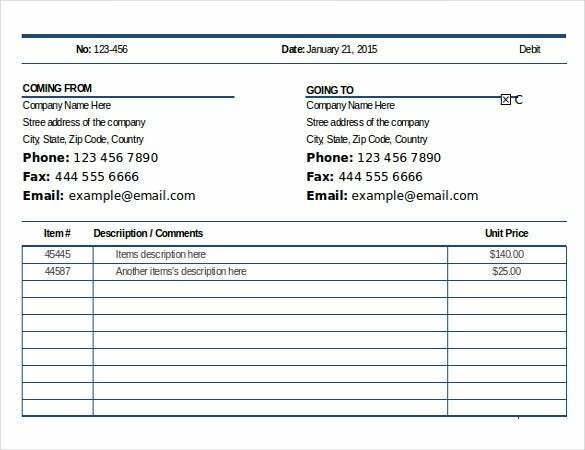 It serves lie a deal memo template that is operational in an example format, where there will be compensation for the inconvenience cause by the event.You can also see Business Memo Template. 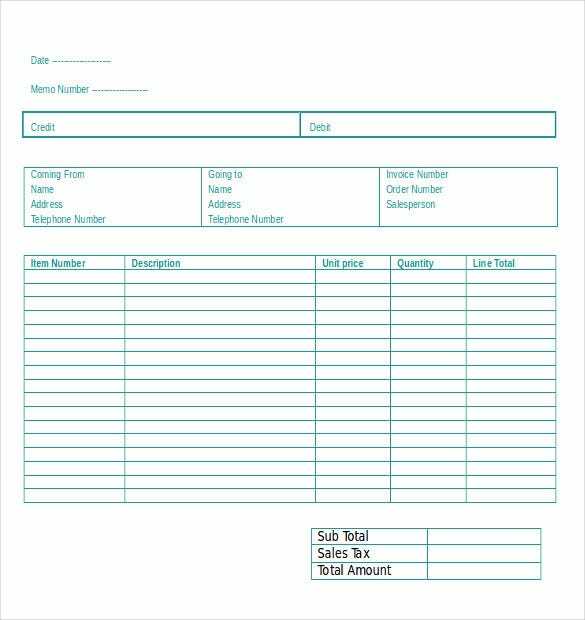 Many sellers will find this handy when they experience problems in delivering their products so they will just have to print the document and send it to their customers. 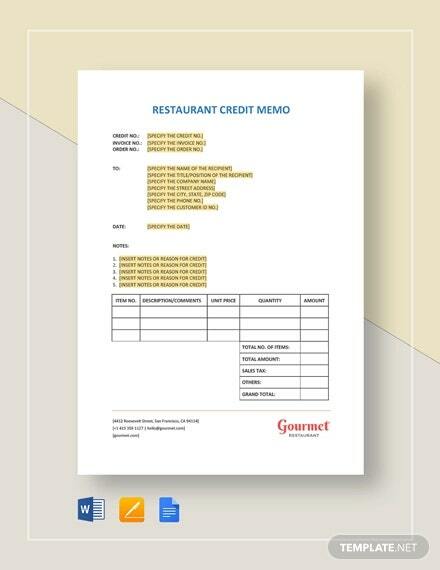 They can make an authorized document for the Memo Template that can serve as an assurance to their customers that proper solution will be given in the trouble they experienced. 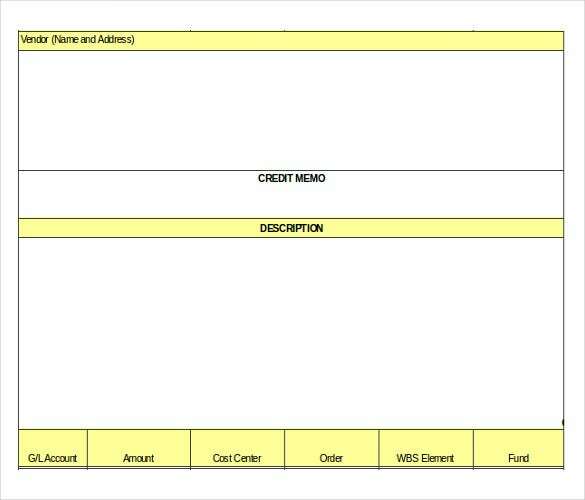 printabledocs.net | The green borders are certainly a step away from the traditional black and white credit memos you usually see. 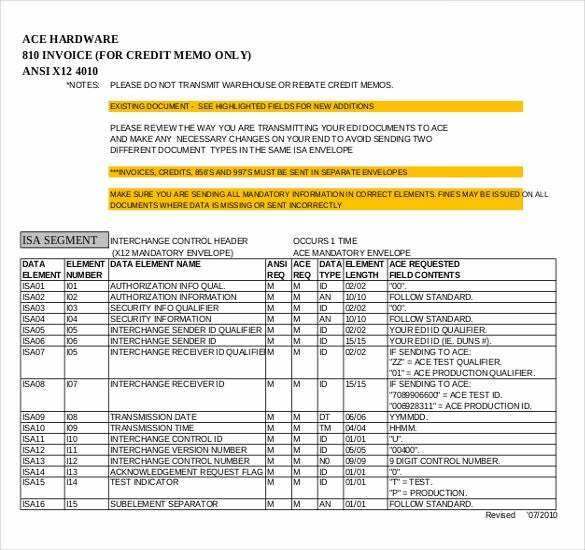 Plus, the organization of the various columns on the credit memo are really neat and well arranged. 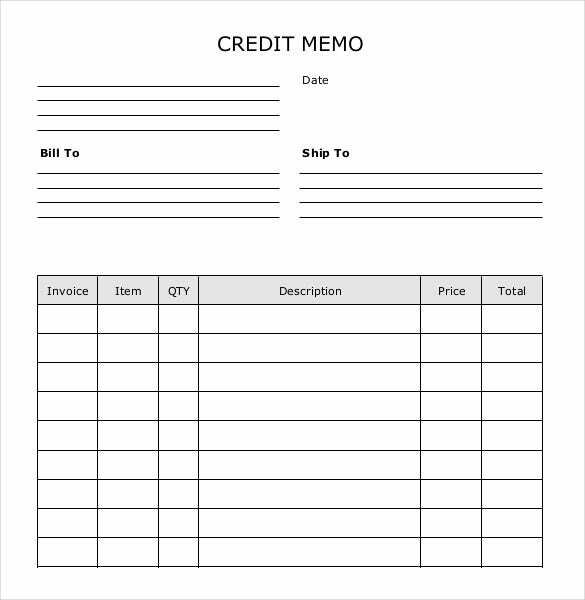 msofficeguru.org | In the field of accounting, credit memos like this have to be issued at regular intervals. 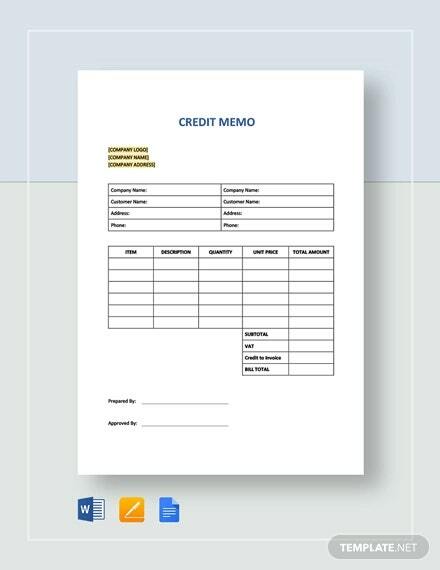 If you download this template, you could use the same memo format to show your credit information every time. 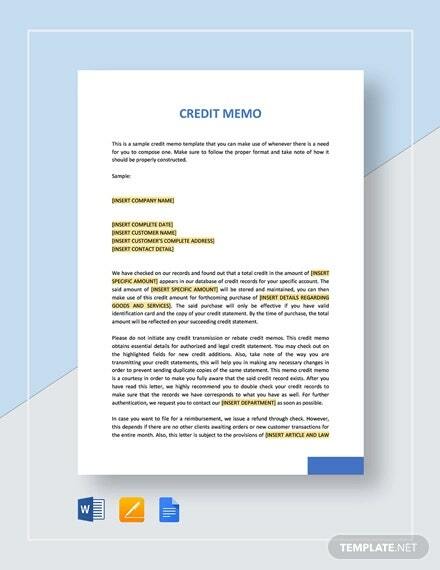 pdfimages.wondershare.com | If you want a detailed credit memo that is both professional and descriptive, this memo template is the one for you. It contains all the necessary information in the form of neat paragraphs. What more could you ask for? 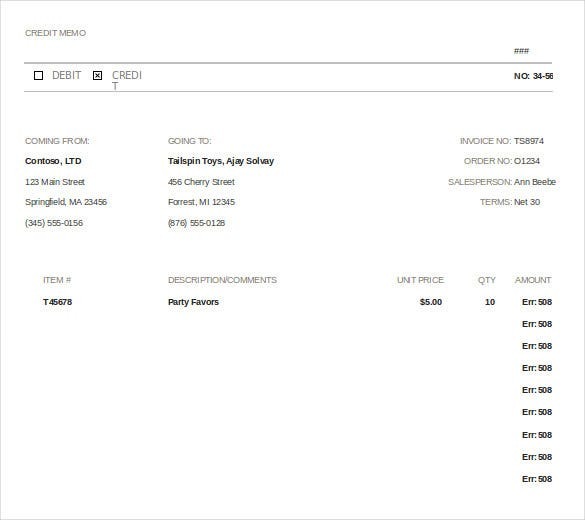 freeonlineinvoice.com | Whenever you buy something from a shop, you’ll be given an invoice which contain the nature of the items, the quantity, and last but not the least, the price rates. All this has already been included in this memo template. 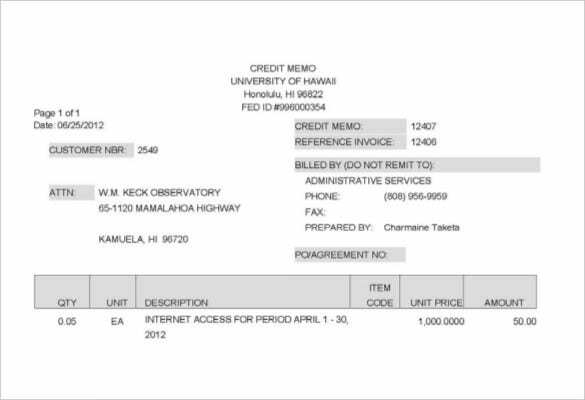 fmo.hawaii.edu | If a customer is dissatisfied with a product they bought from you or they want to return it, you could pay them back by giving them credit. This memo is a declaration of that. In order to create such a memo, you could take the help of this template. 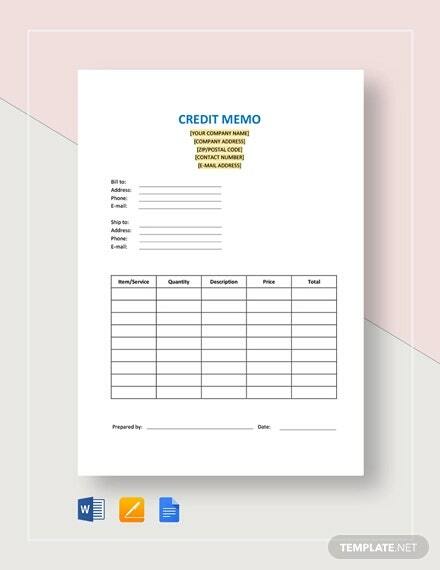 printableinvoicetemplates.net | It might so happen that you’re not familiar with the format of a credit memo. Don’t be disheartened since there’s always a first time. You could find out more about the format of a memo by using a memo template. iconnect-corp.com | When it comes to matters as important as credit, it is always better to maintain a track of it. With all your credit memos, you could create a journal. 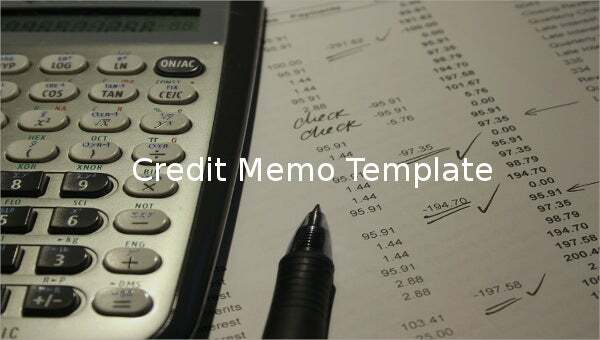 In order to do that, you can take the help of this amazing credit memo template. 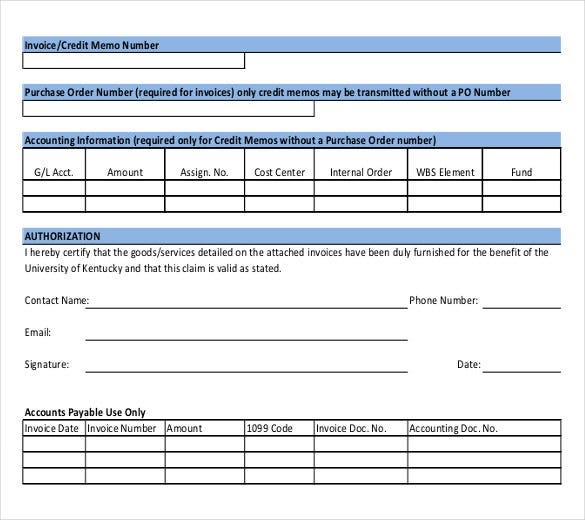 uky.edu | As a vendor, every time you sell something, you’re expected to hand over a credit memo that would serve as proof of the transaction in question. Now you can make your life much easier by simply using this wonderfully designed template. 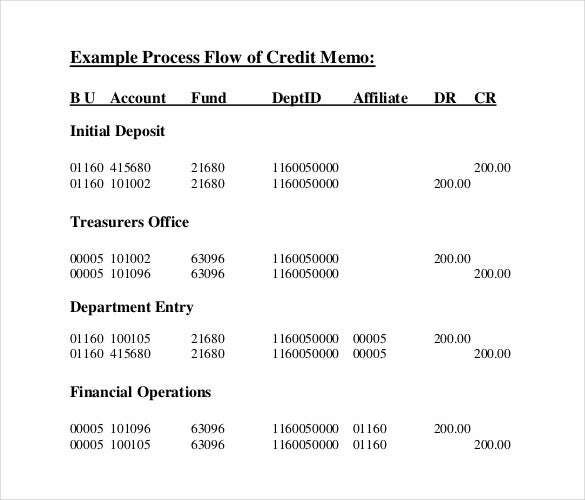 finance.vermont.gov | Maintaining a record of flow of credit is not easy to say the least. Plus, it is harder if you’re not familiar with the standard format. In that case, you could easily take the help of this well designed, professional memo template with a neat and clutter free layout.